Hope you got something out of my article on Nutritional Deficiency and Depression last week. I'm aiming for about one article per week, and I really do hope that they'll progressively improve. There has been a bit of a fire storm over the internet about a study published in the journal 'Nature' back in 2011. The study suggests that red meat consumption increases risk of cardio vascular disease through the increase of TMAO(Trimethylamine N-Oxide) concentration levels in blood plasma. Chris Kresser has a great breakdown and rebuttal to this study over on his site. What I would like to cover is L-Carnitine. In the study, L-Carnitine copped a bit of a beating as it was what was used to increase TMAO levels in the mice that were in the study. I'd like to cover some points that show how L-Carnitine actually reduces risk of cardiovascular disease and promotes better health biomarkers. There are many diseases related to CVD. Some are causes, others are similar in the way that they are a result of a disease. Primarily, you will see a link between patients/ clients that are obese or overweight that have type 2 diabetes. Diabetics have a significantly higher chance for CVD than most healthy people. L-Carnitine has been used in studies to increase insulin sensitivity and glucose tolerance in patients with type 2 diabetes with staggering results. L-carnitine derivative that can be administered orally--increased GDR(glucose disposal rate) by an average of 37% (to an average value of 6.72 mg/kg) in individuals whose baseline GDR was [less than or equal to] 7.9 mg/kg. Subjects whose baseline GDR was already above 7.9 mg/kg had no effect from the supplement. A fantastic study conducted in Iran, took 35 patients and over 12 weeks conducted a double blind, placebo controlled trial, looking at the effect of L-Carnitine on plasma glycemic and lipid profile in patients with type 2 diabetes. After a 12-week administration of l-carnitine, the concentration of fasting serum Apo B100 increased significantly from 98±18 to 108±22 mg/dl. There were no statistically significant changes in HbA1c, LDL-C, HDL-C, LP(a), BMI, WHR in the l-carnitine or the placebo group after 6 and 12 weeks. What these two studies show is that with L-Carnitine supplementation, insulin resistance decreases with minimal to no negative side effects. Lowered insulin resistance means that there should be significantly less inflammation in the body. Reducing risk of CVD. Looking at insulin resistance we see reduced mitochondrial function. 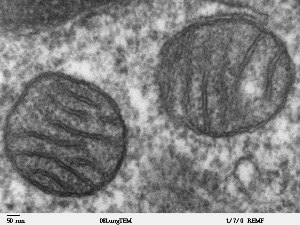 The mitochondria play a vital role in energy regulation as they are responsible for ATP generation, among other things. Mitochondrion dysfunction through oxidative stress is closely associated with CVD. The above article explains a lot about DNA and RNA mutations that affect mitochondrial function. Which leads me to another article looking into how L-Carnitine protects plasma components against oxidative alterations. The results demonstrated that l-carnitine added to plasma at concentrations of 0.1 to 100 μM inhibits in vitro the oxidation of blood plasma proteins (measured as levels of carbonyl groups and protein thiols) caused by treatment of human plasma with 100 μM ONOO‾. and recognises that too much antioxidant activity can have a negative affect on the body. It goes on to suggest that higher dosages, those of which are taken daily. However, supplementation at very high doses (100 μM in our in vitro experiments) of l-carnitine, which is the most popular and favoured supplement among athletes, seems to be less effective. So what we can see here, is that with responsible supplementation we can have an antioxidant quality from L-Carnitine, again reducing inflammation and risk of CVD. All of these studies are pointing in the same direction. We see a reduction of inflammation, proper regulation of system functions and an overall reduction in the risk of CVD. With a proper nutrient dense diet, we see similar values. Red meats being a key component of such a diet. The mainstream media will always have a reason for us to be afraid of eating red meat. If its not cholesterol its going to be something else. Use your head when shopping for groceries. If its from the ground and raised properly, and for example I mean cows eating grass, not grains and pumped full of hormone. You're probably going to be making the right choice for you and your family. Please just be mindful of what you hear and read, if its sensationalised theres probably something missing from the story.